When the going gets tough and you want to give up, true-life stories can be a source of inspiration. This one comes from Jennie Davenport. The struggle can be long, but the end is worth it! Congrats, Jennie! I'm so happy for you! We must have been reading Bookends blog at the same time because I learned from that wonderful source also. As an added benefit, Jennie's story ties in nicely with my upcoming July contest: In With The New. Her agent was a new agent at the time! Thanks for this opportunity, Michelle! I love telling my Call story—the time I officially was offered representation by Beth Campbell of BookEnds. BookEnds was the first agency that ever caught my eye years ago, when I first decided I wanted to make a career out of writing. Back when I decided to look into the business of getting an agent, back when I had no idea how it all worked, I came across the BookEnds blog. No joke, between this and the Nelson Literary Agency blog, I learned every single thing there is to know about the publishing and agenting world. Everything. I owe my passion for it to this blog. Unfortunately, they stopped doing posts because of time constraints, but they keep the blog public for anyone to reference. Because of this immediate love for them, and in researching their agents and agency, they were my dream agency. On a few different projects, back when I was an even greener rookie than I am now. Of course they were all rejected, and rightfully so. It wasn't until a couple of years later, when doing my last round of queries for Hemlock Veils, that I came across Beth, who was a new agent with the agency. Funny, after dozens and dozens of rejections, and many other agencies I came to adore, I would eventually land a place with the agency who was my original number one choice. Kind of awesome. So, how did I get my agent? The last batch of queries I sent off, about a year ago, was probably my roughest yet, because even though the batch before showed a lot of interest, this batch, for some reason, showed none whatsoever. I don't know if it was the market's sudden decline for an interest in paranormal (which is very probable), or timing, or what. Either way, I had ZERO luck, unlike six months before that, when I had numerous requests (all of which were rejected because the project wasn't ready, and I totally appreciate that now because that rejection and feedback made Hemlock Veils what it is now). So, I had put all that wishful thinking aside and moved on from the world of agents for a bit. I had decided that I would hop back into it a few months down the road, and do a whole other batch. So in the meantime, I bettered my manuscript and even entered a few contests. The last contest I entered was a simple twitter pitch party—one I felt pretty negative about, I hate to admit. I was thinking, “These things never work! It'll get me nowhere, and I'm doing this just because I feel like I have to.” I had spent so many months/years trying to be positive through the rejection, that I had just sort of reached a point of giving up. I had started thinking that, for the first time ever in this process, it just may never happen for me. But I pitched anyway. And though I didn't get the attention of an agent, I did get the attention of a FABULOUS editor from Swoon Romance. It shocked me. She wanted to read my manuscript. Still not trying to get hopes up, I thought, “Okay, sure, I'll send it. Whatever.” So I did. And she loved it. My jaw dropped when I read that. And, what?! She wanted to sign me?! I was floored. And SO flattered. But...I didn't have an agent! I kind of freaked out. I didn't know how to treat the contract. I didn't know what to do. So I did some research on the publisher, waiting it out. And what happens in the meantime? Beth from BookEnds just so happens to email me, back from the query I had sent her months before—the one I had mentally moved on from. Turns out she got married (how dare she?) and was pretty darn busy. Turns out she was interested and wanted a partial. So I sent it to her, but told her I got an offer from a publisher and they gave me a deadline. So she asked for the entire manuscript. And Heaven help her, she read the entire thing in a week, even with all the other things she had going on. My deadline was quickly approaching by this time. During, I decided to take a somewhat spontaneous trip to Oregon by myself. Yeah. For me, an introverted writer mom, this was a dream come true! I had never been there, but always wanted to, which is why I placed Hemlock Veils in that setting. And as though fate had its hand in my journey, as soon as I got off the plane at the Portland airport (after a horrendous SLC airport experience, I might add), I turned on my phone and found an email and voicemail from Beth. And I FLIPPED inside when she said she wanted to offer me representation. Guys, this call was the thing I had been dreaming about for the past three years—the thing I had been working SO desperately hard to achieve, and the thing I was beginning to think may not come to pass. So, right there in terminal D, I had "the call." I had to sit at one of the little tables for quite a while to gather myself after. I didn’t even care that the hundreds of people walking by saw a dopey smile on my face. And of course, I was totally awkward and weird on the phone with Beth, even though she was awesome. Bottom line: I was SO thrilled, and it just set the tone for the rest of my amazing trip! The idea that I have an agent, as well as an awesome publisher who is releasing my book in October, is still, to this day, surreal as ever to me. Not even seeing the cover for the first time this week felt real. Please, do NOT give up on your dream. I worked so hard at it, and in retrospect, I can easily say it happened at the right time. Hard work does pay off! 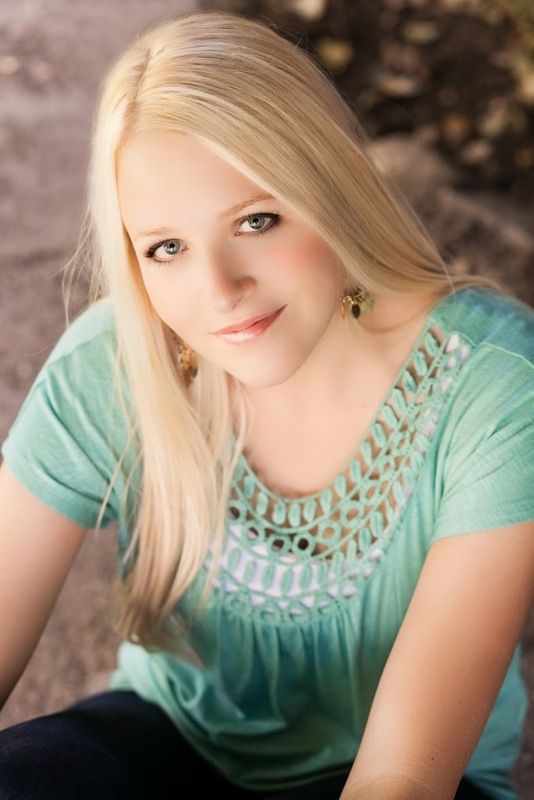 Jennie is an author of modern fairy tales and the paranormal, represented by Beth Campbell of BookEnds, LLC. Jennie’s first published novel, HEMLOCK VEILS, will be released by Swoon Romance this fall. Lover of words, to-do lists, nature, music, movies, theater, books (duh), and anything that moves her to real emotion. Sometimes (most times) Jennie can survive only because of caffeine. She hates anything crafty, only because she’s terrible at crafts. Her ideal getaway? Solitude, so she can write uninterrupted. What an inspirational post, thanks for sharing your story, Jennie. I kind of needed to read something like this to remind me to keep pushing on and never give up my dream. Wishing you much success. This one was well timed. Thanks for sharing your story, Jennie, and thanks for hosting this story, Michelle. I love your "Getting the Call" posts, Michelle. They're almost therapeutic! Thanks for sharing your story, Jennie! It's so encouraging. Best wishes to you for the success of your books!